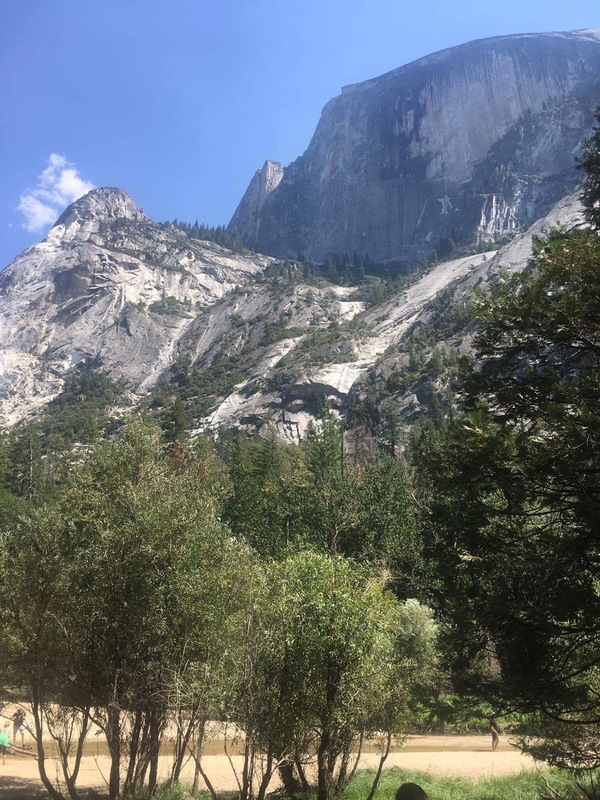 As part of our USA road trip, we had the absolute pleasure of visiting Yosemite National Park. For our visit we camped just outside of Yosemite National Park and drove into the park early in the morning. Yosemite is wonderful because unlike some of the other parks which are swarming with cars, visitors are advised to park and take the bus service around the park and by and large people stick to this suggestion. We visited Yosemite falls, followed by Mirror Lake, Happy Isles and then sunset at Tunnel View. We also watched a great film about Ansel Adams down in the amphitheatre after sunset. So let me start by saying this, Yosemite National Park is the most jaw droppingly fascinating place I have ever visited. I took lots of photos and looking back on them, they look fantastic too. Yet at the time of taking the photographs I was disappointed with them. Not because they weren’t good photographs but because I didn’t feel that they captured the enormity and grandeur of Yosemite. Of Half Dome. Of El Capitan. So, I did something that weirdly as a writer was new to me. 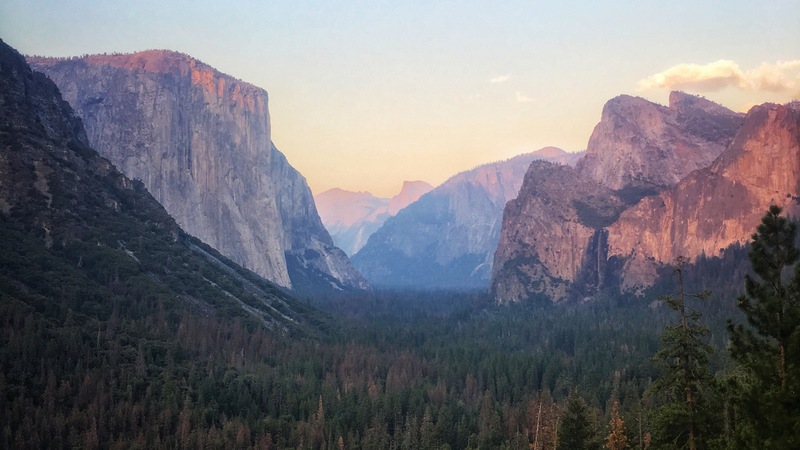 I wrote about what I could see and how I felt at certain places within Yosemite National Park. Looking up at half dome. Strong, mighty, powerful. Despite being sedentary, the sheer, cragged rock face imposes on your personal space. We search the vast space for the brave, talented climbers who ascend the vertical wall. Below, the humble mirror lake, now almost dry at the end of August, waits peacefully for the melted ice to arrive next spring. Trees bask in the sunlight by the pool, grateful that they aren’t on the harsh terrain that their brothers on the mountain occupy. Dragonflies dance on the waters edge, disturbed only by the splashing of humankind. The sun highlights the pools natural beauty and it responds with a beautiful reflection of the nearby slopes, a prize for all eager photographers. Sitting waiting for those beautiful sunset hues and yet, the hues it currently possesses are already wonderful. A rich sea of burnt oranges clashing with leafy greens. The left cliff face has its back to the sun but the right is catching the last of today’s rays. Pines climb towards the top but only a few reach the summit. In the distance a solitary waterfall sends water tumbling down the cliff face. If you look carefully, you will see what looks like it could be an eye, nose and a mouth alongside the water. A silvery haze starts to form towards the end of the valley, darkness is encroaching. Rereading these inserts make me remember Yosemite far better than the photographs I have taken and yet it still feels so daunting to post this in favour of a ‘traditional’ blog post. What do you think? Would you like to read more posts like this? Let me know!